Imagine exposing your child to racial slurs and X-rated content on a daily basis without realizing it. Experts warn that's exactly what could be happening if you let your child play an online video game through Xbox, PlayStation or on the computer. Translation: "What are people mad about nowadays? How about those video games? They're evil, right? Can we get some authors saying they make kids racist?" "Incredible levels of profanity, racial epithets, homosexually-oriented epithets. 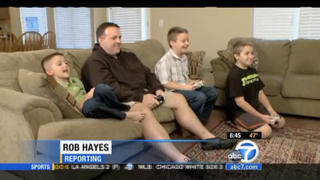 We're talking 8-, 9-, 10-, 11-year-old kids who are getting exposed to this regularly," said Roberts. Internet safety expert Parry Aftab says this inappropriate language in online gaming is rampant, and she's concerned it's leading to dangerous cyber bullying. "They may trash talk. They may be calling you names. They may steal their passwords. Or a lot of them may gang up on one online, not because it's a good strategic win, but to hurt the other person," said Aftab. But parental involvement is still key. Ask your child to unplug the headphones and turn up the speakers so you can hear exactly what's being said. "Don't let your kid go upstairs and close his bedroom door, and sit there and play all night," said Kinney. "That's crazy. You have no idea what's going on, who's saying what." Good thing we've got experts.